The YUZZ project is a training and management programme for young people between 18 and 30 years of age who have developed technology-based projects with the support of the UA Observatory for Labour Integration and the Local Development Agency. Yuzz has successfully finished its fourth edition which allowed 20 young entrepreneurs from Alicante to work on creating their business projects. Young people with a spirit of innovation had been working over a 7 month period to develop business projects that mark the technological future in Spain. With the YUZZ programme and the cooperation of the University of Alicante and the Alicante City Council, the objective has been to boost further the entrepreneurial talent among young people in the area, an essential quality in order to be competitive in the current economic situation. After the rounds held in June consisting in presenting the final projects, the judges that were present in each region of the YUZZ programme selected the best young entrepreneurs in the country. Miguel Vela Romera, a UA student, will represent his team by travelling to Silicon Valley from 21 to 27 July to get a first-hand look at the world cradle of technology innovation. 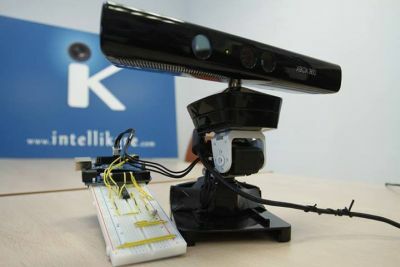 His team’s project, Intellikare is an intelligent video system aimed at the elderly or disabled people who live alone. By means of Kinect sensors, the system is able to detect accidents such as falls and automatically contact the emergency services and family members. Moreover, it has other functions such as a programmable diary for events which could be, for example, a reminder to take medication or to go to a doctor’s appointment. The activity at the YUZZ centre in Alicante has been carried out with the cooperation of the Science Park, the Enterprise and University Foundation, University of Alicante’s General Foundation, the Business and Innovation Centre of Alcoy and Elche and Europa House Student Residence. The YUZZ project is considered a breeding ground for ideas by promoting cooperative intelligence and making the necessary infrastructure, guidance, training and business knowledge available to all the participants in order to ease the viability of their project. Once the development process at the YUZZ centres all over Spain has finished, representatives of the best national projects will travel to Silicon Valley from 21 to 27 July to visit the centre of innovation in the field of new technologies. In addition, in the last quarter of the year, the three most outstanding projects of the country will receive funding (30,000, 20,000 and 10,000 Euros) to contribute to making their business idea a reality.